Here are all of the top stories you Need to Know to start your Thursday morning. Ventura County Sheriff Geoff Dean said around 10 other people were injured inside the Borderline Bar & Grill and taken to hospitals. Sheriff Dean identified the killed sheriff's deputy as Sergeant Ron Helus. On the Ventura police force for 28 years, Helus was one of the first officers in the bar and to confront the shooter. The gunman's identity is still unclear, as was his motive. But Sheriff Dean said investigators had not ruled out terrorism. ► Download the FREE WWL-TV News app now in the iTunes store or on Google Play. 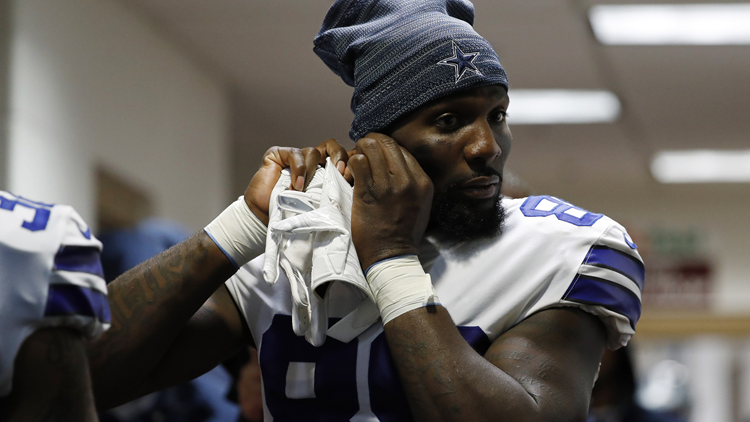 Oct 29, 2017; Landover, MD, USA; Dallas Cowboys wide receiver Dez Bryant (88) walks out of the locker room prior to the Cowboys' game against the Washington Redskins at FedEx Field. The Cowboys won 33-19.